River Place Dental is proud to be a made of a team whose primary goal is to deliver the finest and most comprehensive dental services today. In order to assist you with your health care investment, we are providing the following payment options. We will gladly process your insurance claim for you, estimate your deductible and co-payment portion not covered by your dental insurance. The estimated amount not covered by your insurance plan is due at the time of treatment and may be paid by any one of the options listed below. Our estimates are subject to final approval by your insurance company; therefore, the amount due our office is subject to change. Our office requires a deposit of one half of the patient's portion at the start of treatment and payment in full once treatment is complete. A down payment is not required with CareCredit or Wells Fargo monthly payment plan. 1. Cash – includes money orders and personal checks and a 4% discount on amounts over $500.00. 2. Visa/Mastercard/Discover/American Express – we accept credit cards as payment for treatment to the extent your credit limit permits. 3. CareCredit or Wells Fargo – Upon approval, these plans offer a separate line of credit to cover your entire family's health care needs. We’re pleased to offer our patients CareCredit and Wells Fargo patient payment plans. CareCredit and Wells Fargo lets you begin your treatment immediately – then pay for it over time with low monthly payments that fit easily into your monthly budget. CareCredit and Wells Fargo are the credit card exclusively for healthcare services. With no up-front costs and no pre-payment penalties, CareCredit and Wells Fargo lets you pay over time and frees up cash and credit cards for the other things you want or need. CareCredit and Wells Fargo offers low monthly payment plans for healthcare procedures not commonly covered by insurance, including dental treatments. Plus, you can use your card again and again to pay for additional treatment for yourself or family members in any CareCredit practice. 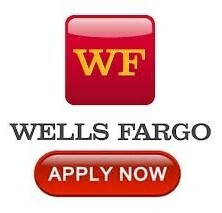 Learn more by visiting CareCredit.com or WellsFargoHealthAdvantage.com/apply or contacting our office. Ready to apply? Apply online for your card today.